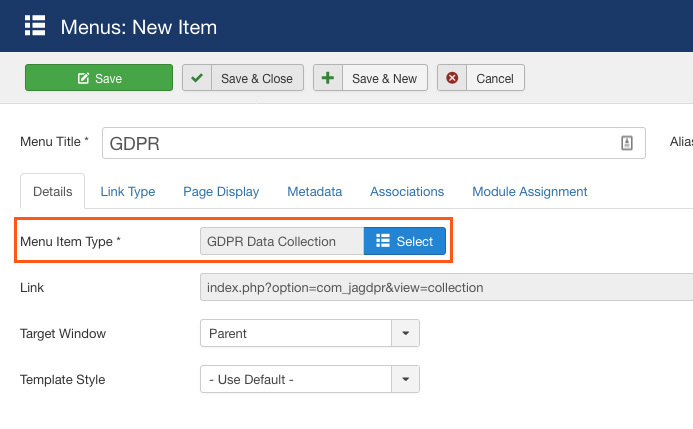 Last week, we published preview of JA Joomla GDPR extension and we got very positive feedback plus lots of feature requests. 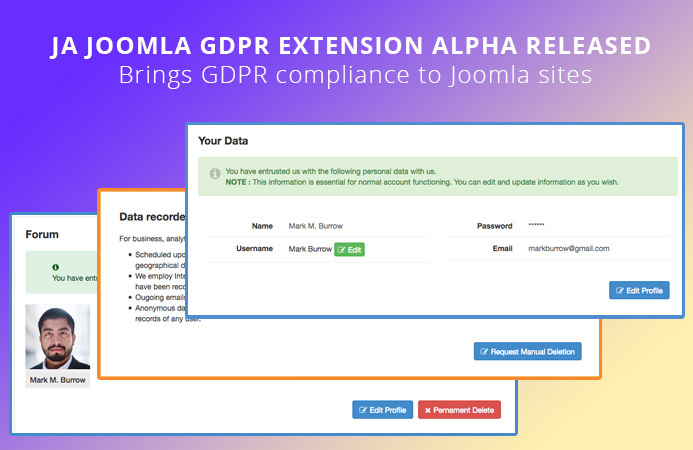 Today, we are happy to announce Alpha release of JA Joomla GDPR extension. 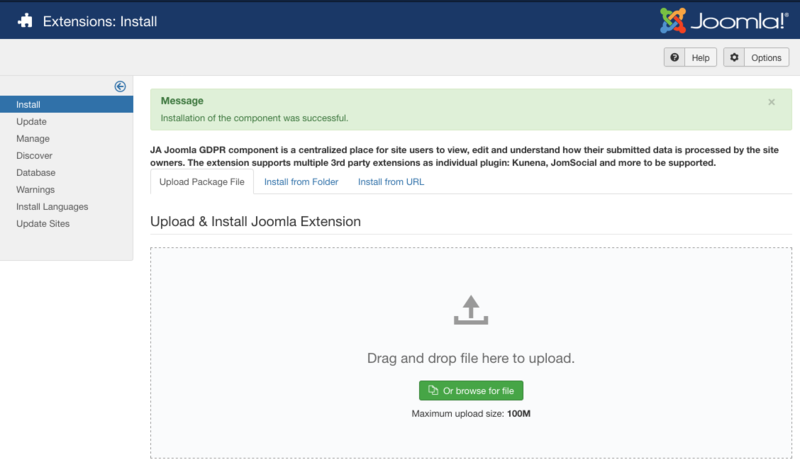 Now, install the package in your Joomla site: from your site back-end, go to Extensions > Manage > Install then browse JA Joomla GDPR installation package to install. 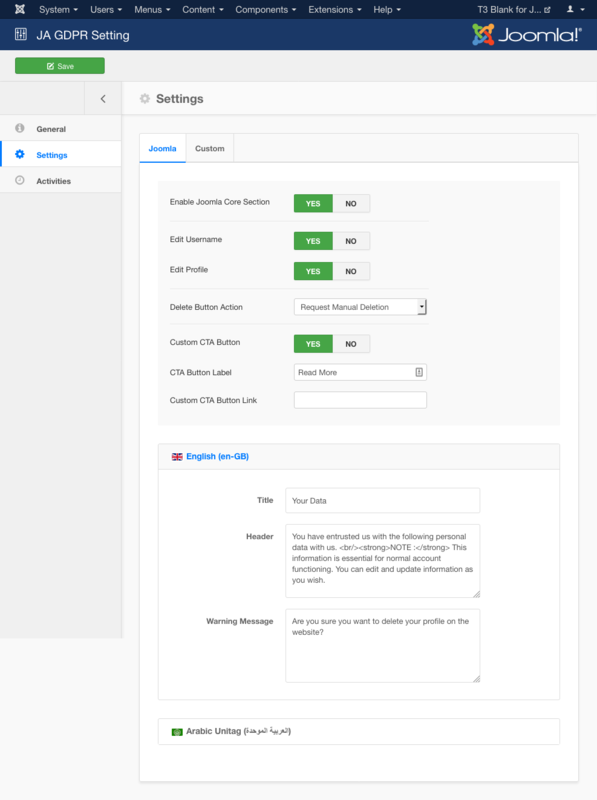 Create new menu item and select GDPR Data Collection menu type. 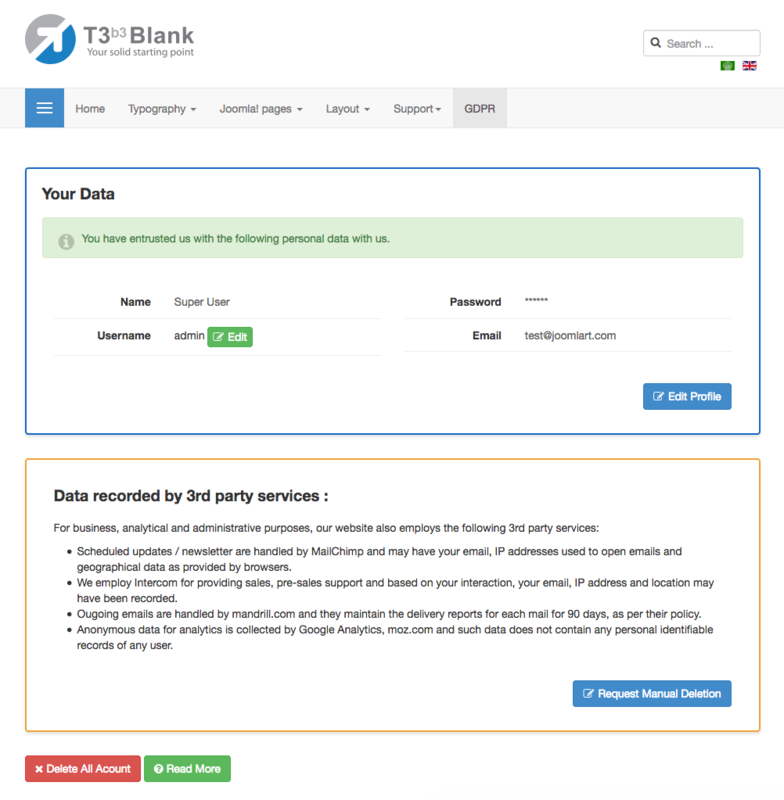 Now access the menu item, login and user can view their submitted info to the website plus the custom section to manually request deletion. Go to Components > JA GDPR component > Settings and configure. There are 2 tabs, Joomla and Custom. 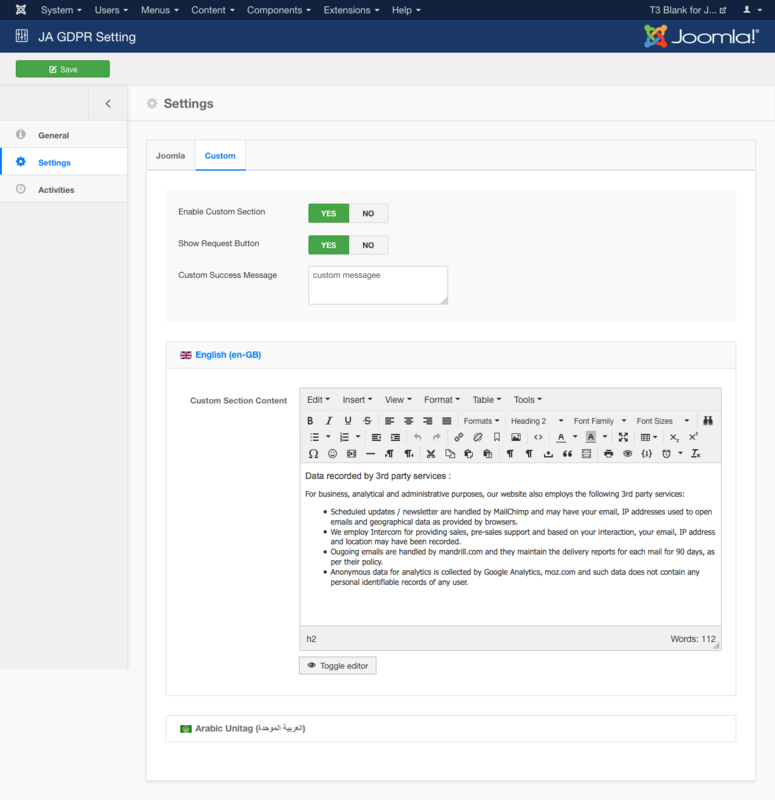 The Joomla tab is the core settings, Custom tab is to configure custom section - manual deletion request. When a user submits manual deletion request, a notification email will be sent to Administrator. The admin dashboard displays user's activity details. If user request manual deletion, admin can proceed the deletion in the panel.